“The project’s thematic orientation is based on an analogy. A succession of ideas which nourish intersect and form a pattern, a framework of action. It is based on the concept of building ties… ” In anticipation of an increase in its services planned over the next few years, the STM will expand its fleet of busses and must build a new transport centre. The proposed Stinson Transport Center will accommodate 300 vehicles and 800 employees and will aim an ambitious LEED Gold certification. 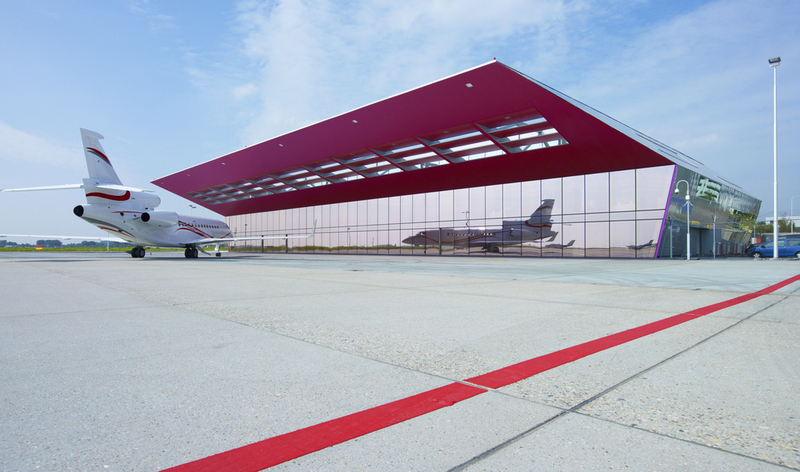 Schiphol’s General Aviation (GA) Terminal is where the private and business flights of Heads of States, members of the Royal Family, CEO’s, pop stars and top football players are handled. As a reaction to the inconvenience of flying today with low-cost airways and long queues, VMX found it’s inspiration in the terminals from the era in which aviation was seen as a pleasure and had a luxurious appeal. When flying on a private plane it should be possible to reach the plane as efficiently as possible, without long queues and excessive security control. VMX has tried to optimise this luxury by allowing the car to enter the middle of the building at the drop-off, with the shortest distance possible to the waiting plane under a large canopy, sheltering the passenger from rain, wind or the paparazzi. Foster + Partners, in a joint venture with engineers, G.O.C. 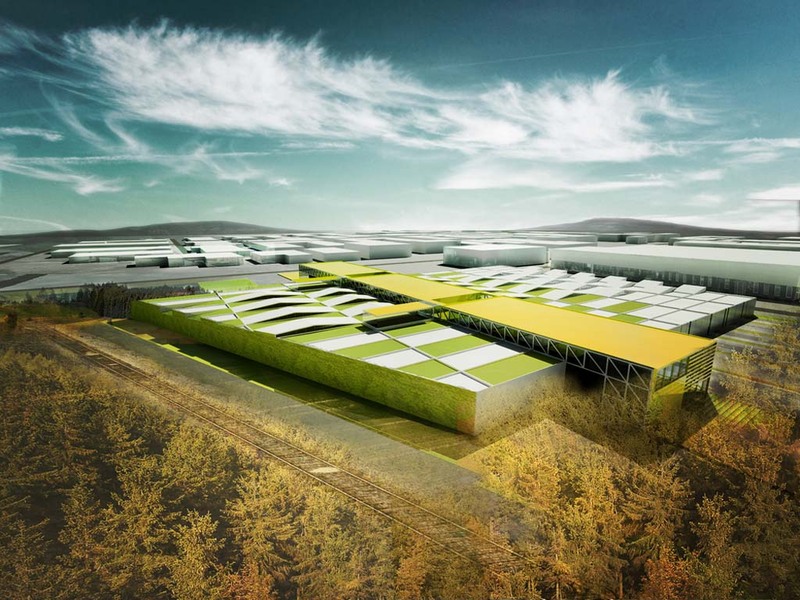 and Cabanelas Castelo Architects, has won an international competition to design a new high-speed rail station in the city of Ourense in Galicia, north western Spain. The design combines transport infrastructure with a new park, which will create a major new public space in the city and open up pedestrian links between the districts on each side of the tracks. 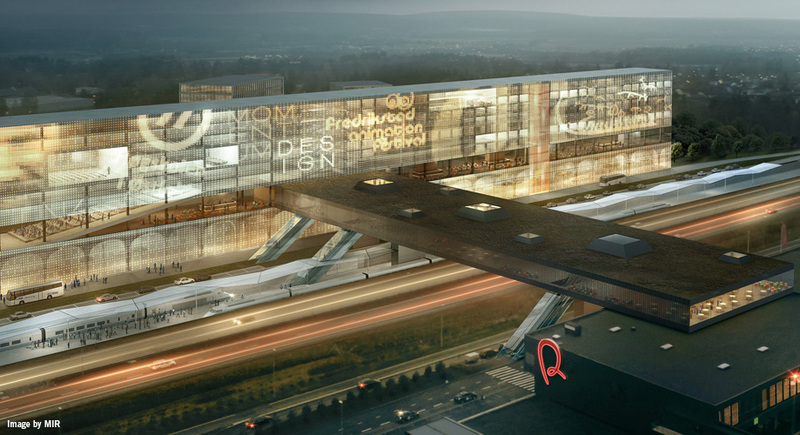 FUTUREPROOF was in September 2010 commissioned by Østfold Fylkeskommune to develop a masterplan for the areas surrounding Moss Airport Rygge in Norway. The submitted masterplan incorporates both a regional strategy for the region Østfold and a plan for the physical development of the airport’s surroundings. The plan strengthens the airport as the main infrastructure hub in the region without contributing to further urban sprawl. This is done by proposing a dense development with only the most necessary functions consolidated, such as hotel and conference facilities. As the regional strategy emphasizes, the main future development in the region should take place in the existing city centers. SPACE was selected from among several architecture firms to design the new final departure lounge for a recognized brand of financial services and credit cards. This project is located at terminal 2 of Mexico City airport. Conceptually, the design of Tianjin Seashore Airport‘s new passenger terminal building borrows from the physical form a bird as the inspiration for the design. A symmetrical plan faces the axial airport boulevard, adopting a portico that soars the arrivals and departure concourse in the form of a bird’s outstrecthed neck and break. The bird metaphor is continued in the expression of the concourse with its wing-like steel and concrete roof structure. There are echoes of Eero Saarinan’s TWA Terminal at New York’s John F Kennedy Airport (1960) in the curved concrete form that looks not unlike a wild goose about to take off or land on water. The airport terminal is set within a long term flexible masterplan that emphasises balance and symentry. I found this project reviews on california-architects.com but no posting date – the San Jose airport. The airport called SJC or Norman Y. Mineta Airport and it’s an America’s 41st largest airport in passenger count. Scheduled for completion next year, the project costs $1.3 billion. 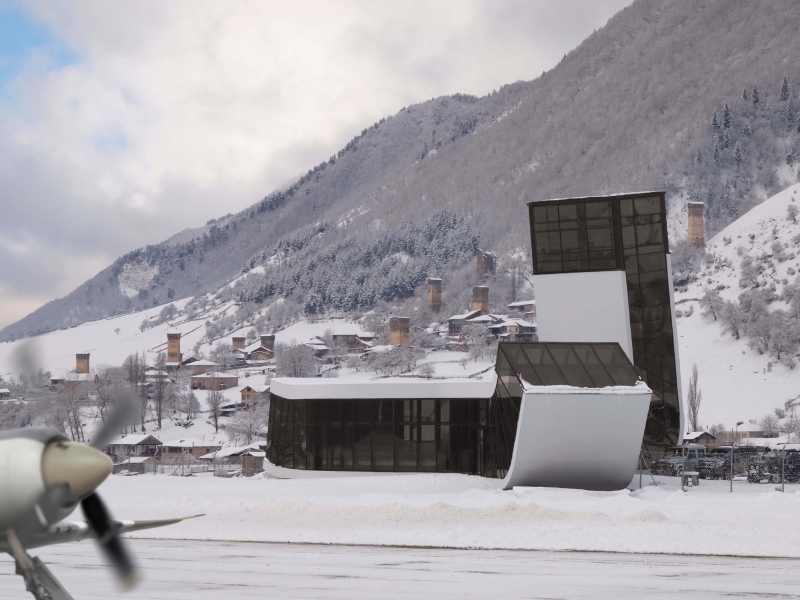 The building is linear and appear resolved and fluid from the outside.